The list of coins available for storage at Coinbase Custody may soon increase. In a blogpost, the San Francisco-based company stated that it was exploring the addition of “many existing and forthcoming assets” to its service. It had earlier stated that it was exploring the addition of Ethereum tokens for custody on its platform. Coinbase’s news follows similar announcements regarding addition of new coins by other custody services in the market. For example, Gemini, the custody service run by the Winklevoss twins, recently announced the addition of privacy coin zCash to its service while France-based custody services provider Ledger said it intends to scale to 100 coins by the end of 2020. Ledger cited increased demand from institutional investors for coins as reason for its goal. (See also: ‘100 Tokens By 2020’: Ledger Expands Its Services). 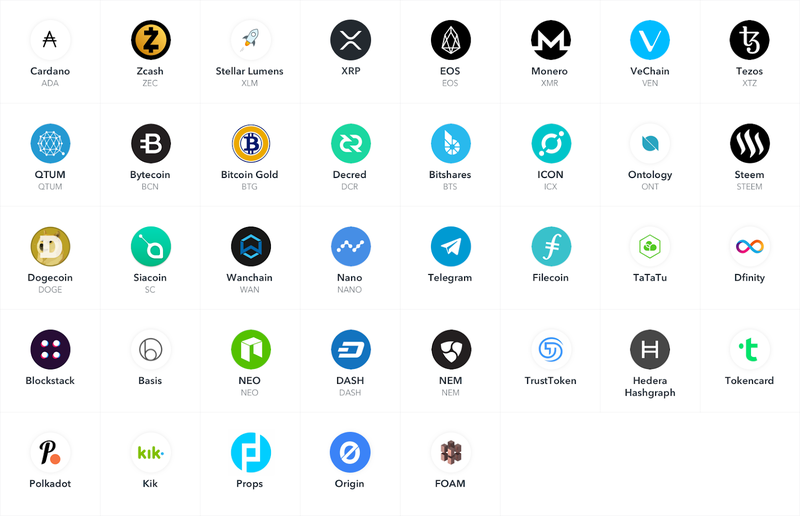 The list of assets that Coinbase custody is considering adding to its services is big and diverse and includes the likes of Ripple token XRP, privacy coin Monero, and Bitcoin Gold. The image below displays the list of coins that the service is considering for addition to its service. Coins that do not have clearly-defined business models or utility cases, such as Dogecoin, are also being considered for custody services. But their addition to custody services does not mean that they will be available for trading. “Asset additions to Coinbase Custody have no bearing on whether they will be added to other Coinbase products,” the company wrote in its post making the announcement. (See also: Coinbase Tries To Reel In Institutional Investors). Coinbase, which has ambitions to become the Google of cryptocurrencies, uses a Digital Asset Framework to evaluate cryptoassets before making them available for trading on its platform. Amongst these criteria are governance, scalability, regulation, and reputational risk. Four cryptocurrencies are available for trading and custody on Coinbase’s platform, so far. They are Bitcoin, Bitcoin Cash, Ethereum, and Litecoin. Investing in cryptocurrencies and other Initial Coin Offerings (“ICOs”) is highly risky and speculative, and this article is not a recommendation by Investopedia or the writer to invest in cryptocurrencies or other ICOs. Since each individual’s situation is unique, a qualified professional should always be consulted before making any financial decisions. Investopedia makes no representations or warranties as to the accuracy or timeliness of the information contained herein. As of the date this article was written, the author owns small amounts of bitcoin and litecoin. Will Litecoin (LTC) Surge 200%? Litecoin vs. Bitcoin: What’s the Difference in 2018?